Ontario sits right at the edge of unbridled desert beauty, making it a great place to take in amazing scenery and engage in outdoor activities. Many residents are looking for a 2017 Toyota Camry for sale in Ontario, because the car is perfectly suited for everyday life, plus weekends filled with fun. Hometown Toyota carries a huge selection of Toyota Camry models at competitive prices, making it easy to get just the right car for you. Sure, you need to go back and forth between work and home everyday, plus run errands. On the weekends, hitting the open road to play at Owyhee Canyonlands or explore the many features of the Snake River means you're really taking advantage of the benefits that come with living in Ontario. Even better, as a fuel efficient mid-size sedan, the Toyota Camry will help you do all this and not break the bank. You can get the vehicle with a fuel-sipping four-cylinder engine, which still gets you up to speed in a hurry. If you want even more power, but without guzzling the gas, the available 3.5-liter V-6 gives you all that. Toyota even designed the exterior to be highly aerodynamic, also boosting efficiency. 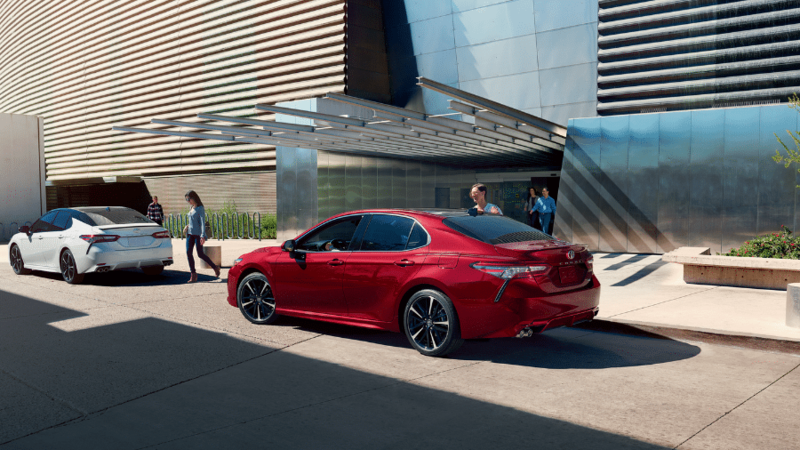 No matter where you're headed, whether it's a quick shopping trip to Red Apple Market Place on 4th Avenue, or you need to do business in Boise, the Toyota Camry will keep you comfortable and refreshed. Each detail of the interior helps address well-being. For example, the standard 8-way power-adjustable driver's seat allows you to find just the right position with minimal effort. Generous bolstering and contouring offer excellent support. Add heaters to the front seats for when the weather turns cold. In today's world, staying connected has many advantages. Up-to-date information lets you know when a backup is slowing traffic on Idaho Avenue or I-84, so you can make other plans. The Toyota Camry helps with features like an available wireless charging system, navigation with traffic, and voice controls. Getting your Toyota Camry doesn't have to be a hassle. Contact the professionals at Hometown Toyota for a trouble-free shopping experience.